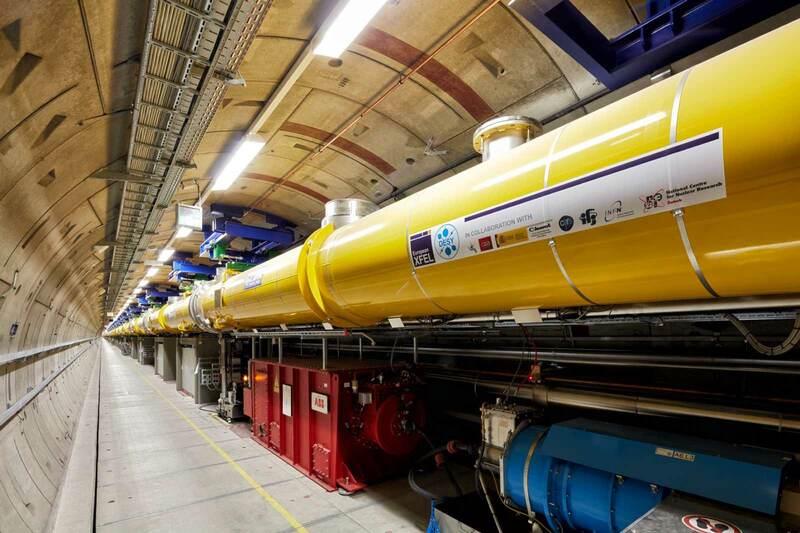 Today, the European X-Ray Free-Electron Laser Facility (European XFEL) celebrated the inauguration of its X-ray laser and officially opened for researchers. At a total length of 3.4 kilometres, the European XFEL is the world’s largest X-ray laser. Its light source produces X-ray flashes up to one billion times brighter than other available X-ray sources, offering unique research opportunities for scientists working in a wide variety of fields. The opening ceremony took place at the XFEL headquarters in Schenefeld near Hamburg. High level ministerial and scientific representatives of the European XFEL’s eleven partner countries, were present. Also in attendance were leading scientists from around the world, including representatives from EMBL, which holds one of its six sites on the nearby Deutsches Elektronen-Synchrotron (DESY) campus in Hamburg.